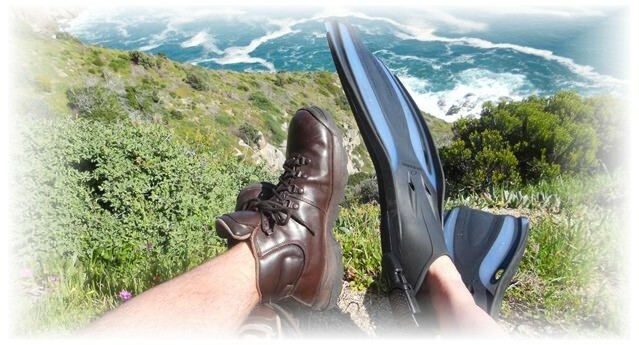 It was another of those magical summers’ days in Cape Town when the air is clear, the wind is absent and you just have to be outdoors. 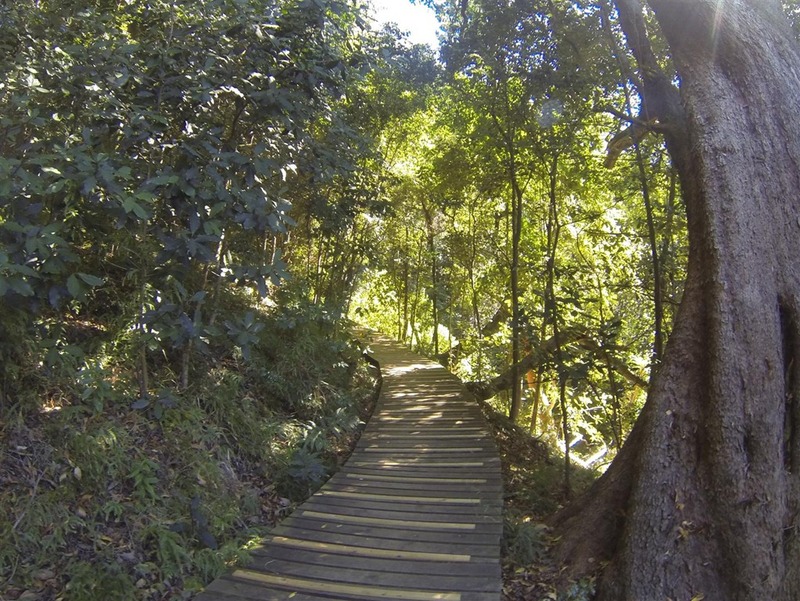 On a mid-February Saturday we went to see what Newlands Forest was all about. We were greeted by the sight of two large helicopters sitting on the lawn at Working on Fire’s Newlands Fire Base. We often (too often, sadly) see them flying over with their Bambi buckets, fighting yet another of those infamous Cape fires, but I had no idea they were based at Newlands. What was also evident was that every man and his dog – or in some cases three or four dogs – was out and about making the most of the lovely day. At the signpost we turned left, away from the helicopters, with the idea of going around as far to the left as we could, working our way steadily up to the contour path and then playing it by ear from there (or would that be playing it by foot?). We had Slingsby’s map close at hand but within a matter of minutes we could not say with accuracy which path we were actually on. 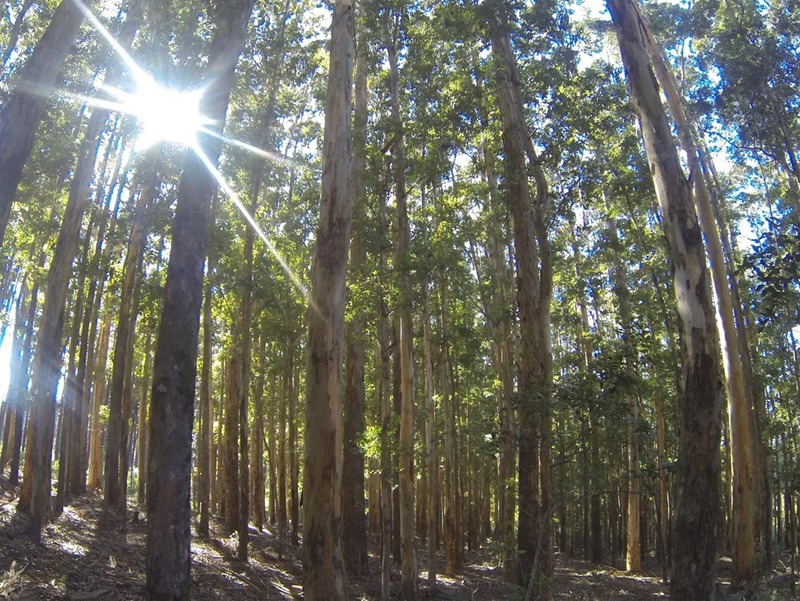 Newlands Forest is a maze of forestry roads and footpaths! Undeterred we kept moving steadily upwards until we felt we must be close to the contour path. The scenery is certainly worth it. It changes regularly between plantations, foresty bits with thick undergrowth, stream beds and then suddenly there is a gap in the vegetation giving you stunning views of the peaks rising up from the crisp greenery. All the paths seem to be well maintained, and where the footing becomes doubtful the parks board have built boardwalks. Although slippery when wet I’m sure these make a world of difference in winter when rain probably makes the paths tricky to negotiate. Even in summer they’re very nice to walk on, in a follow-the-yellow-brick-road kind of way. There is even a kind of timbered picnic area, referred to as a ‘picnic stand’ on Slingsby’s map, along the boardwalk – unfortunately defaced with graffiti. By now we were nearing the end of the walk we had originally planned, so, suckers for punishment that we are, we decided to brave the heat and keep going along the contour path until we got to King’s Blockhouse. The views across the city from the path were spectacular, but the sun was really fierce by this time and most of the tree cover had given way to low shrubs and grass. It’s a sad fact that criminal elements are invading every aspect of our lives, and the great outdoors are no exception. 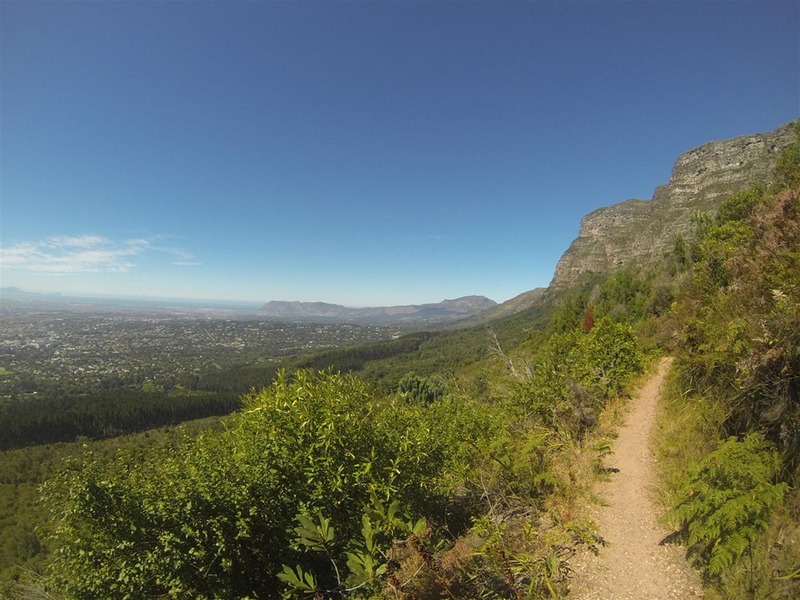 Table Mountain appears to be a favourite and there are quite a few reports of hikers and mountain bikers being mugged in the area, especially around the blockhouses. As we neared King’s Blockhouse we peered at other path users with increasing suspicion. A very sad state of affairs. At the blockhouse itself there were two dubious-looking characters hanging around so I just took a quick photo before we turned tail and headed back the way we came. From the blockhouse we didn’t follow the contour path back to Newlands, opting instead to go diagonally downward. 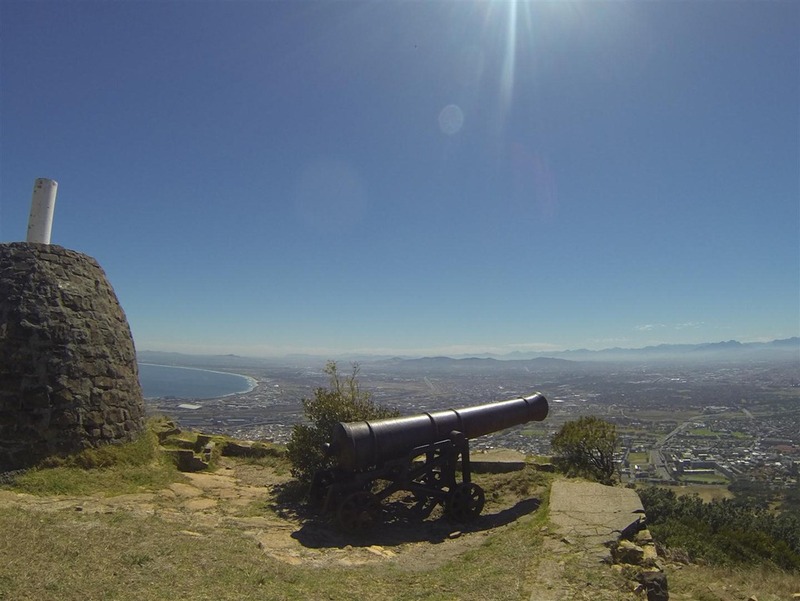 This brought us to just above UCT and from there a well defined path took us back to our starting point. Distance covered: 10km on the dot. The possibilities for walks of shorter or longer distances and varying degrees of difficulty appear almost endless. 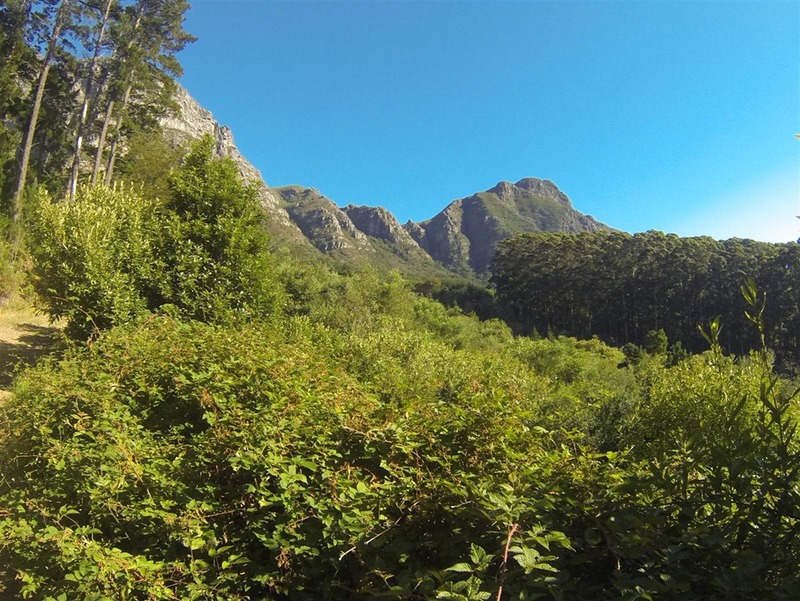 The atmosphere created by the tough trail runners, cheerful tykes, jaunty seniors, energetic students and happy pooches one comes across make the Newlands Forest area one of the best choices for a great Saturday Morning walk.